At least a decade ago, when I worked in IT, I read a story online that I treasured like those special Dilbert clips everyone posts in their cubicle. Supposedly, a software engineer making $90,000 a year outsourced his job to India, paying an engineer there about 20% of his salary (a handsome wage in India at the time) so he could split his workdays between online courses and video games. As the story went, the code he got back from the Indian engineer was so good that he had to introduce bugs now and then to maintain credibility. 9:00 a.m. – Arrive and surf Reddit for a couple of hours. Watch cat videos. 11:30 a.m. – Take lunch. 2:00 – ish p.m Facebook updates – LinkedIn. 5:00 p.m. – Go home. What’s just as interesting as Bob’s story is my reaction to it (and probably yours). First, I assume that if Bob had the smarts to engineer this deal, he got a non-disclosure agreement from the Chinese company. Such documents, to protect business secrets, are routine in all sub-contracting operations. Beyond that, I found that along with humorous admiration for Bob’s escapade, I felt critical because he wasn’t “playing by the rules” – even though in the course of my own career, I watched all the rules change. When I finally “settled down” and got a “real job,” I joined a technology company that boasted of never having a layoff. The first one came about 18 months later, and before I left, I saw scores of empty cubicles of people whose jobs had been sent overseas. These days we all know people who played by the rules and got screwed. In the end, I wouldn’t want Bob’s karma, but his story illustrates something we hear again and again: nowadays workers are on their own. Company loyalty in response to employee loyalty is largely a thing of the past, and everyone has to take responsibility for their own careers, including use of the tools of the digital age. 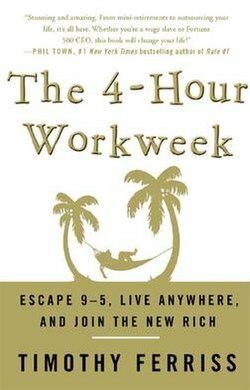 For anyone reading this post in a cubicle and thinking of Bob and tropical islands, here is some recreational reading, referenced in the NPR story – The Four Hour Workweek, by Timothy Ferriss. This entry was posted in Current Events, News, Technology and tagged current events, News, technology. Bookmark the permalink. Don’t know whether to laugh or cry. I think I’m going for cry. Wow. That’s quite a story. I have to say, I understand Bob completely. That doesn’t mean it’s right; it just means I get it. I suspect this story will be a movie before we know it. Thanks, as usual, for an interesting post. In a sense it already is a movie – Office Space (1999) has a very humorous and contemporary, “Take this job and shove it” vibe. And the fact that I heard this story in the past bandied about as truth online now makes me think that Bob is not the first. I can sympathise. Since starting my blog – triggered by a year when a lot of dear friends a generation above me have died from cancer etc – I find work less relevant and more removed from reality. Although my work and people are great, there often feels to be such a disconnect between ‘serving the machine’ and ‘aspiring to the possible’. When I think about the prospect of having a truly mundane job I can completely understand the Bobs of the world. Also I don’t think he was cheating if he was effectively sub-contracting ahead of the game – that’s how the entire capitalist system works, so we can wear Nikes and drink coffee – at least he was offering (by the sounds) a fair economic rate. Love the Dilbert – always completely spot on. This story evokes ambiguous reactions for lots of people, myself included. And there’s nothing like personal loss and reminders of mortality to cause me to rethink all the things I am doing. On the other hand, I remember reading the account of someone who found the Zen master he had been seeking working a few miles from his home fixing machines in a laundromat. From that point of view, as long as your work is honest and not inherently harmful (you’re not making weapons, etc.) then you’ve found “right livelihood.” I think that’s especially important to consider these days when so many need to take jobs that are “less” than the ones they trained for. In the end, I guess Bob’s story is one more of many examples of how the information age presents us with brand new moral issues.